Located on Flinders Lane in the heart of the entertainment district, The Sebel Melbourne is a modern “all suite” boutique apartment hotel. 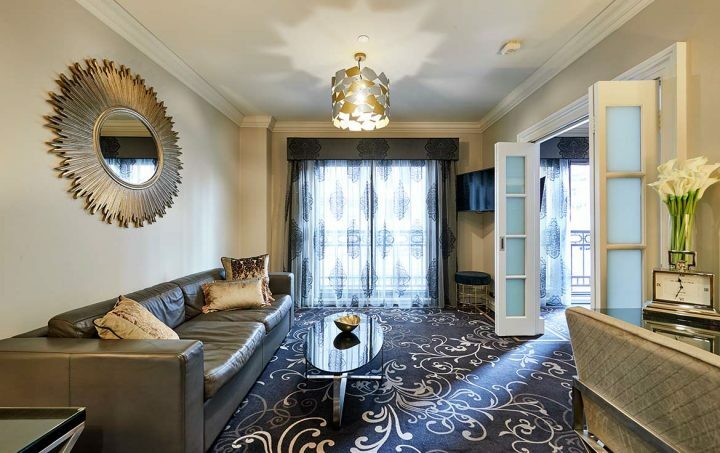 The Hotel presents a contemporary range of sophisticated one bedroom suites that infuse modern design philosophies with the architectural heritage of this Parisian inspired building. Just saying the title of the hotel “The Sebel Melbourne”, pre-empts an idea of class and luxury. So if style, romance and European charm are your vices then you can not pass up Melbourne! Internet: Wireless access available in all rooms and public areas. Car Parking: Undercover car parking available. Members $20 per car per night. Non Members $35 per car per night. Laundry Facilities: Complimentary laundry facilities is available. Laundry powder available for purchase at Reception. Health Club: Free access for Accor Vacation Club Members, members need to advise Reception prior to using the gym and Reception will call the gym. Room Service: Pronto Cafe offers room service breakfast Monday to Saturday from 7am and Bistro du People offers room service dinner Monday to Friday from 6pm. 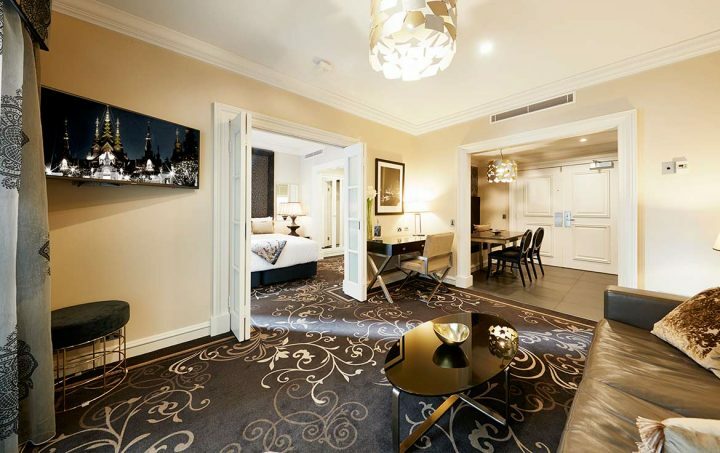 The Sebel Melbourne Flinders Lane is approximately 45 minutes drive from Melbourne Airport. Airport shuttle buses from Tullamarine Airport (Skybus or Starbus $17pp one way) and Avalon Airport (Sunbus $22pp one way) run throughout the day. 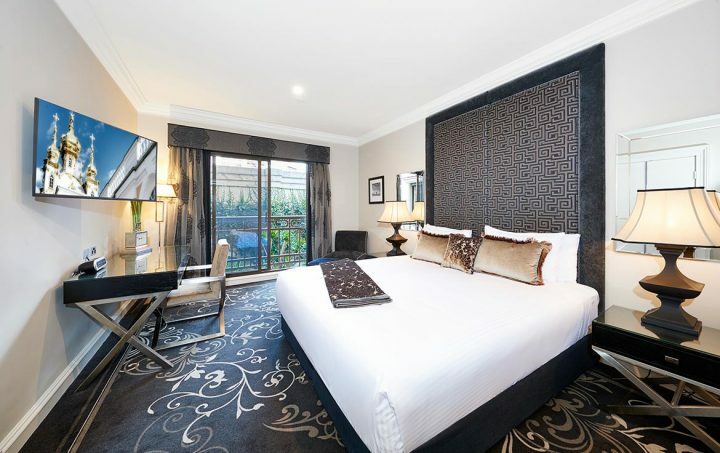 For return hotel pickups please contact The Sebel Melbourne Flinders Lane Reception (Skybus and Starbus require 24 hours booking notice and Sunbus requires 48 hours booking notice). Standard hotel room, no kitchen and no laundry – (share guest laundry facilities available), tea and coffee making facilities, bathroom (shower only), Foxtel, cots available on request (charges apply), highchairs available on request (charges apply), rollaways not available. Full kitchen (no oven), no laundry – (share guest laundry facilities available), ensuite bathroom (shower only), Foxtel, cots available on request (charges apply), highchairs available on request (charges apply), rollaways not available in Flinders suites. Undercover car parking available. Members $20 per car per night. Non Members $35 per car per night. It is NOT necessary to book the car park space in advance. Please advise the member that due to the Hotel NOT owning the car park, the car parking charge is passed on to the guest.